If you’re a resident of Frisco, the “Best Place to Raise an Athlete“, you most likely love football and live for the Friday night lights. Perhaps you attend Frisco football games to cheer on your child, a family friend, or to simply show your community support. Naturally, you focused on your team’s star player or the student you came to watch, but failed to notice the eleven superstar students whose job is to cheer you on, all while in a giant furry/foam costume that reaches 140 degrees. Introducing your Frisco high school mascots. They’re the stars of this year’s football season you probably missed but need to know. Jacob Argo has made a name for himself beyond the walls of Centennial High as an award-winning North Texas mascot. 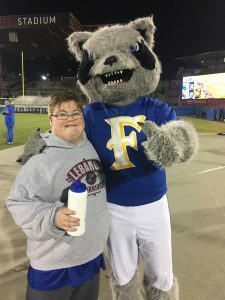 For the past two years, Argo was named “American Mascot” by the United Cheer Association, receiving scholarship money that will allow him to study molecular biology at Texas Tech University, next fall. For Jacob, the role has transcended an extracurricular activity, serving as a purposeful passion. “It’s all about helping people and making them feel good,” says Argo. 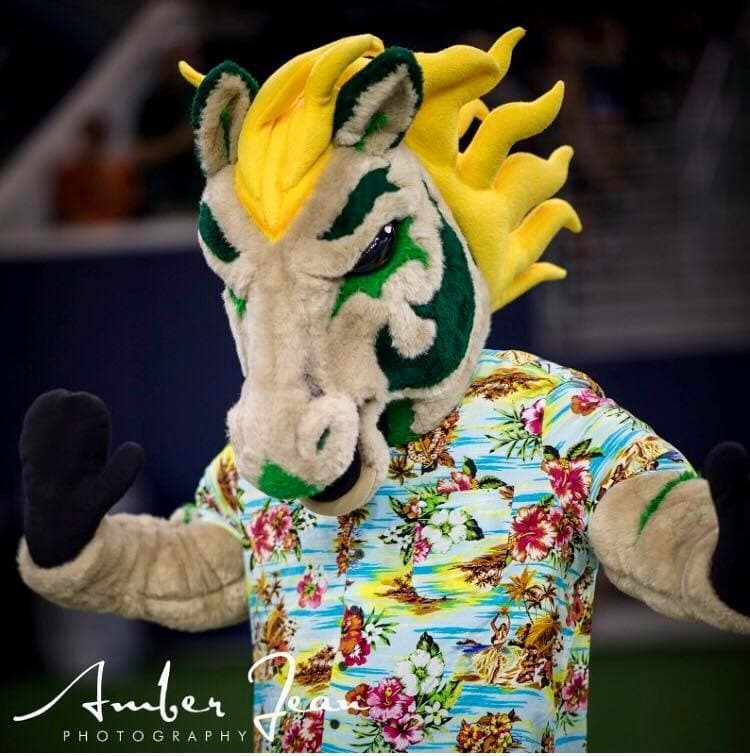 As the Centennial Titan, Argo enjoys meeting with students at feeder elementary schools, participating in community-wide events, and connecting with fellow Frisco ISD mascots at the annual cheer and mascot camp. Outside of the role, Jacob Argo represents his school on the Centennial bowling team. He hopes to one day compete as a professional bowler. Although Frisky appears at every football game, Angel hopes to attend as many different sporting events as possible this school year. He shows support for the community, both in and out of school, spending an average of five days a week at St Francis of Assisi Catholic Church. “I really enjoy being in church,” Angel says. “The whole community really brings me up”. Following graduation in June, Ben Angel will follow his father’s footsteps and study poultry science at a 4-year university. When Mikayla Vestal observed a lack of spirit among her peers, she chose to act. “I wanted to be a part of an organization that dealt with school spirit because our school doesn’t have much of that,” says Vestal. Stepmom, Lydia, pushed Vestal to go for the role, as it was the mascot Lydia Vestal remembers bringing her own high school together. “She gave me all the inspiration I needed to pursue anything,” says Vestal. Like her stepmom, a teacher at Prestonwood Christian Academy North, Mikayla is dedicated to working with students, taking care of toddlers and special needs children at the Early Childhood School in Frisco. After high school, Vestal hopes to continue pursuing a career in education at Stephen F. Austin University. Prior to her freshman year, Julia Bohnert’s house was unexpectedly rezoned to Liberty High School, however, Bohnert had long been looking forward to attending Independence. To ensure that she would attend Independence in the fall, Bohnert’s family did everything they could, and with their efforts succeeding, she’s chosen to display her gratitude, for the past two years, as Nick the Knight. “I love my school so much,” says Bohnert. “I just wanted to show spirit”. Whether she’s dancing at pep-rallies or interacting with students on the sidelines, for Bohnert, it’s all about creating enjoyable moments for her peers. “Making people laugh is what I love to do,” she says. Outside of school, Julia Bohnert continues to make an impact on students as a member of the Hope Fellowship Community Church worship team. 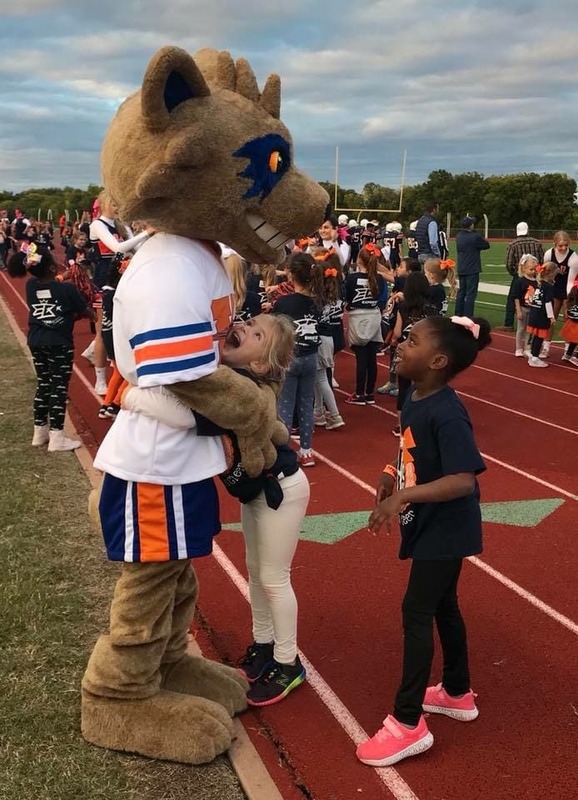 Looking for ways to get involved at school, Elise Willingham decided to take a chance on mascot life after the cheer coach suggested she’d be a good fit for the role. “I kinda just jump into things and hope it works out,” says Willingham on when she first took on the role of Torch the Trailblazer. Two years later, Elise Willingham can be seen directing the band, pumping up football players, and entertaining the student section. It’s what happens after football season, however, that Willingham says is most intense, as cheer UIL demands long hours of continual perfection. Outside of the uniform, Elise stays busy working at Newk’s Eatery and serving at Preston Trail Community Church. With a 0-10 losing streak, being the face of optimism and pep has been a tough responsibility, one that often requires waking up fans and engaging with them in the stands. “They look to me when the team’s losing,” Raybon comments. “It’s our job to make sure the crowd’s still bumping”. When she’s not cheering on the Redhawks, AJ Raybon likes to draw and play video games. She hopes to study character design at Norman University, after high school. Hoping to spend more time with cheerleader best friend, Haley, Jordan Hennigan decided to try out for Rally the Ranger her senior year. 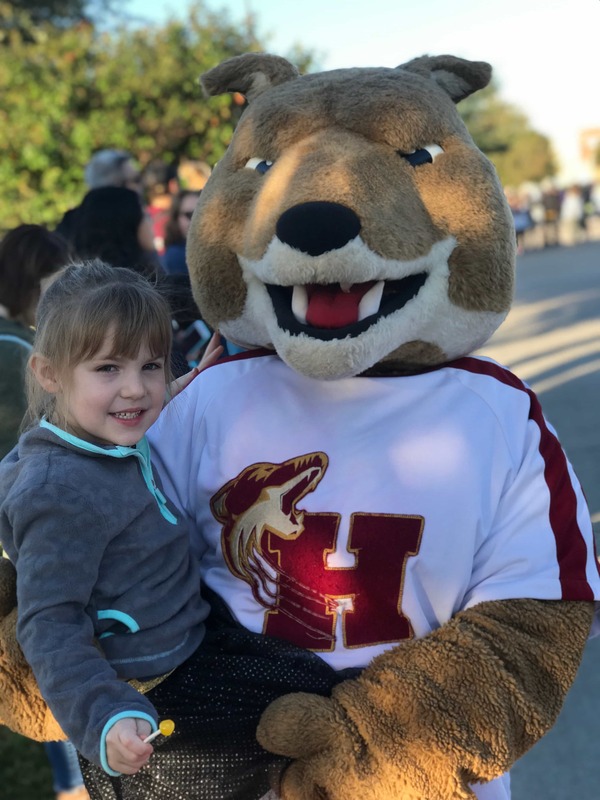 She appreciates the unique way in which Rally has allowed her to bond with young students, as Hennigan plans to study elementary education at Blinn, next fall. “I love the energy!” she says. “I love high-fiving kids and taking pictures with them”. The students at Lone Star are anything but boring, according to Hennigan. She takes pride in her school’s unifying spirit and hopes students continue to display their support for the school, even after she graduates in the spring. 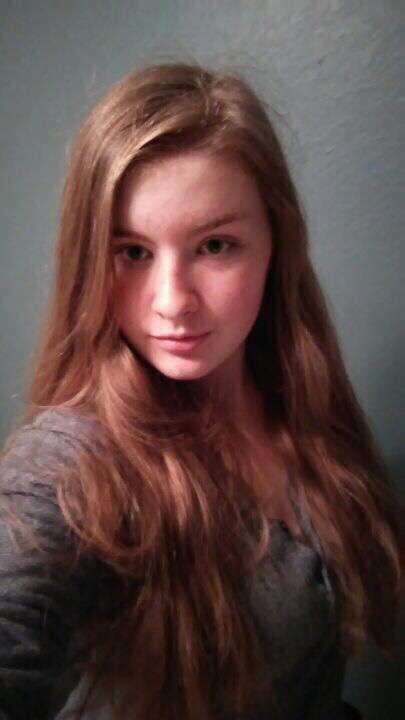 Besides socializing with students of all ages, Hennigan enjoys playing guitar and ukulele and writing her own music. She longs to establish connections with others and emphasize the idea that “Rangers support Rangers”. “No matter what sport you’re apart of or what club you’re in, we’re all in this together,” says Cross. A junior facilitator for the Hugh O’Brian Youth Leadership (HOBY) North Texas program, Cross extends her impact beyond Lone Star High, teaching students how to create and follow SMART goals. Since the age of seven, Tana Cross has pursued film acting, her ultimate passion. From episodes of Barney to independent feature films, Cross has worked to establish a name for herself on screen. She hopes to continue a career in acting by minoring in the arts while she studies medicine at Southern Methodist University. 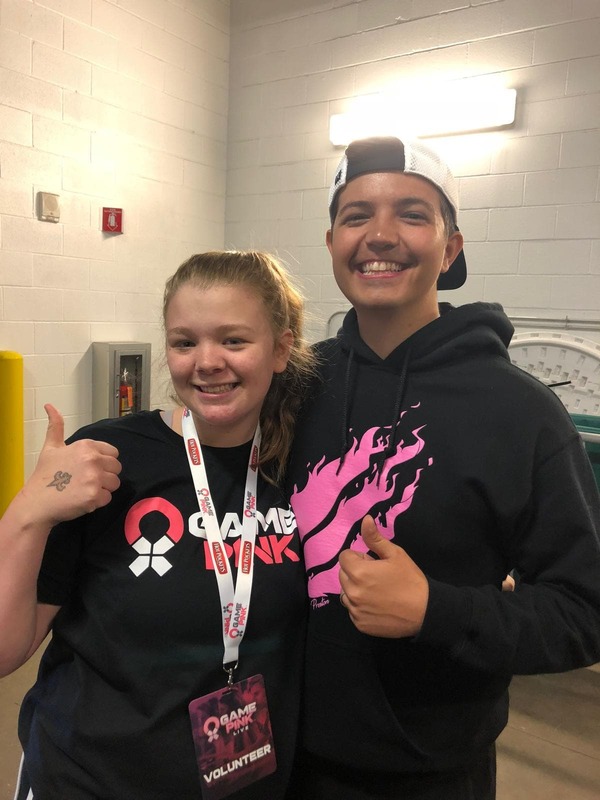 Amanda with Preston Arsenent (Minecraft video gamer) while volunteering at NBCF’s Game Pink event. Ever since Amanda Hall was a little girl, she dreamed of being on the cheer squad. “At the last [middle school] pep rally, they brought out the mascot and I said ‘okay, I want to do that!” says Hall. 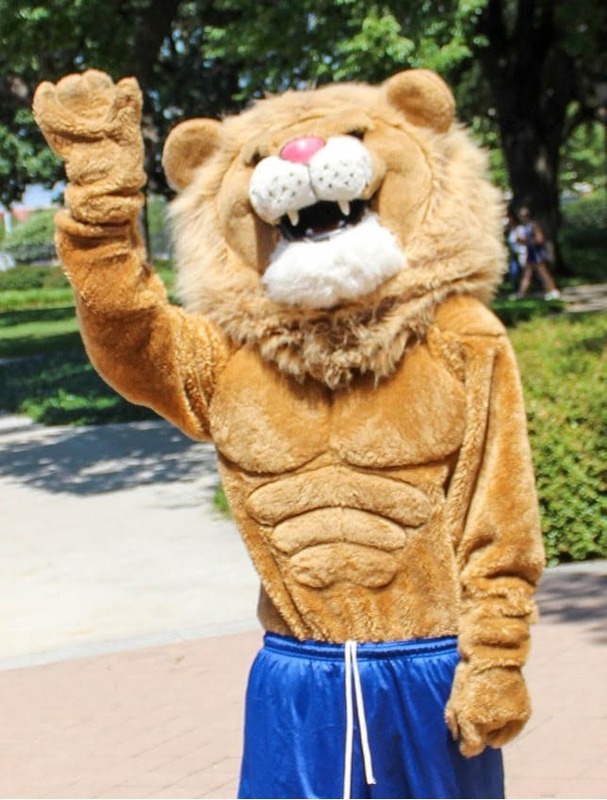 As Lola the Lion, Hall looks forward to attending a multitude of events from pumpkin carving contests to mascot summer camp at Southern Methodist University. The energy from the stands plays a vital role in the performance of Reedy’s teams, according to Hall. When passionate parents begin yelling at refs and students hit a point of tainted motivation, it’s Hall’s job to ensure that the players have a support system to count on. “I won’t be in high school forever,” explains Hall. “The time I have, I should make the best out of”. Outside of Reedy High, Amanda enjoys working at McDonald’s, spending time with her 1-year-old niece, and attending Hope Fellowship Church. When Reedy junior Jarred Lavinski isn’t playing football with his friends or watching his favorite anime shows, you can find him pumping up the crowd as Leo the Lion. “I thought it would just be a fun experience,” he says. “Our school is already really spirited and feeling that I’m contributing to that makes me pretty happy”. Lavinski loves interacting with kids while in the suit. “The small kids are some of the funnest parts because they have a blast with the mascot,” says Lavinski. Jarred Lavinski is currently involved in the mechanic branch of FFA at Reedy and plans to join the army as a mechanic after he graduates. Rodeo queen, Rhi Klodowski, was looking for a fun extracurricular to fill her free time when friends suggested she try out for the Wakeland Wolverine last March. Like many of her mascots peers, Klodowski noticed a decline in school spirit compared to that experienced by previous generations. Raised on a farm in Pilot Point, Klodowski is fascinated by animal life. She’s an active member of FFA, competing on the Agricultural Issues LDE team, Poultry Judging CDE team, and is the sole representative for Frisco in her chapter’s poultry shows. After high school, Rhi Klodowski plans to receive a doctorate in veterinary medicine and work as either a large animal or exotic vet. Unlike the rivalries that coexist among the ten Frisco high schools, Klodowski says the mascots are a close-knit community that serves as a support system to one another. Swapping funny mascot stories and sharing advice, the friendships she’s gained as the Wolverine is what Rhi Klodowshi has appreciated most. Thanks Chloe for this article. Rarely do we see who is behind the mask. It was a unique subject and nicely written with great perspective. 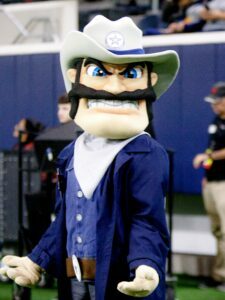 My kids attend Frisco ISD ,not yet in high school, after reading this article, they look forward to meeting the mascots. Thank you, Mike! Glad you enjoyed the piece. Well done, Chloe! An engaging and well-researched story! It’s fascinating to see the mascots unmasked. It’s cool that our FISD schools give students this unique experience. My friend was Auburn’s mascot, Aubie the Tiger. He announced he won the audition by knocking on my door in full costume. He had a blast. I’m looking forward to mare great reads from you. Keep up the good work!